Berthe Morisot was a woman of extraordinary talents who carved for herself a career within the art world of nineteenth century Paris. 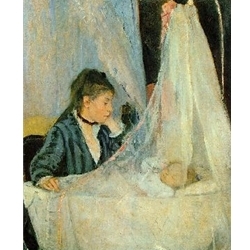 She was one of only a few women who exhibited with both the Paris Salon and the highly influential and innovative Impressionists. Her work endures today as a major representative of the Impressionist school.